NU in Chicago is a program of the Center for Civic Engagement that strives to better connect students with civic resources and experiential learning in the city of Chicago. NU in Chicago achieves this goal with a diverse set of initiatives, all of which leverage the unique assets of the city for student learning. NU in Chicago’s core offering involves thematic trips into the city, during which students visit local organizations, hear from community leaders, and engage with neighborhoods and communities outside of Northwestern. As part of these excursions, NU faculty member, alumni, and community partners with expertise in a given area facilitate the experience and student groups connect the theme back to daily life in college. 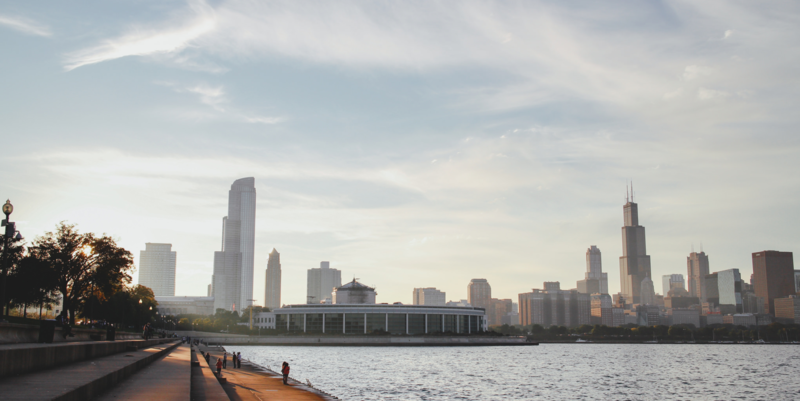 In addition, NU in Chicago also helps orient incoming students to the city, connects students to existing events in the city, and advocates for resources to increase Chicago’s accessibility. Ultimately, we believe that students who have engaged with Chicago during their time at NU are more likely to be engaged with civic issues over the course of their life. NU in Chicago is not the home of all Chicago-based programming at NU, but rather a centralized effort that aims to increase Chicago engagement across campus. If you have questions or comments, please contact us at engage@northwestern.edu or visit the Center for Civic Engagement at 1813 Hinman Ave.